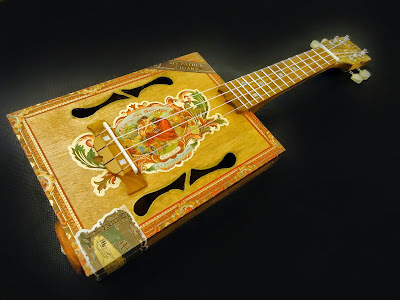 Welcome to the online home of Shonky Musical Instruments. Here you will find Instruments (mainly string based) of all shapes and sizes, made from mostly recycled, reclaimed or re-used parts and materials. We pride ourselves on our environmental and sustainable ethics and aim to deliver an unbeatable and friendly service. Please browse the website and get in touch via the contact us page to discuss your requirements for your next Instrument.